Planning a festive brunch? 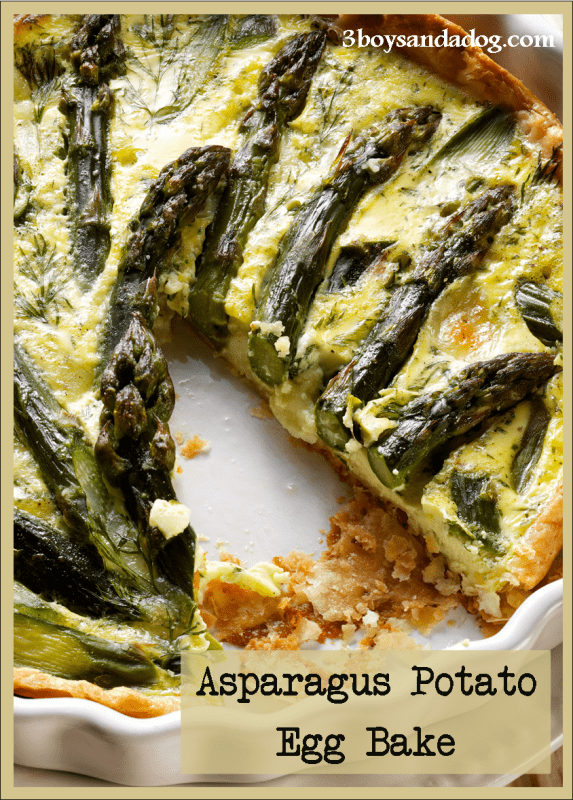 Use this plan-ahead one-dish brunch, Asparagus and Potato Egg Bake Recipe idea to take the work out of brunching. Prep the night before, pop in the oven the day of, and you’re good to go! O, The Oprah Magazine knows that the time we spend with family and friends is what counts- not the amount of time in the kitchen! Preheat oven to 350°. Lightly grease a 9" x 13" baking dish or 1.5-quart soufflé baking dish with oil; set aside. 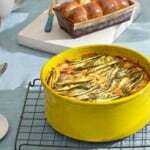 Cut off the top 3 of asparagus spears; transfer tips to a small bowl and set aside. Cut remaining spears into 1 pieces and set aside. Heat 1 Tbsp. oil in a large skillet over medium heat. Add onion and garlic and cook until soft and translucent, 5 to 7 minutes. Add 1 asparagus pieces, increase heat to medium-high, and cook until warmed through, 3 to 4 minutes. Remove from heat and set aside to cool slightly. Bake until firm and light golden brown, about 45 minutes. Serve immediately. Recipes reprinted with permission from The Oprah Magazine and Brunch Recipes You Can Make in Advance! Faith Durand is the author of Not Your Mother’s Casseroles .